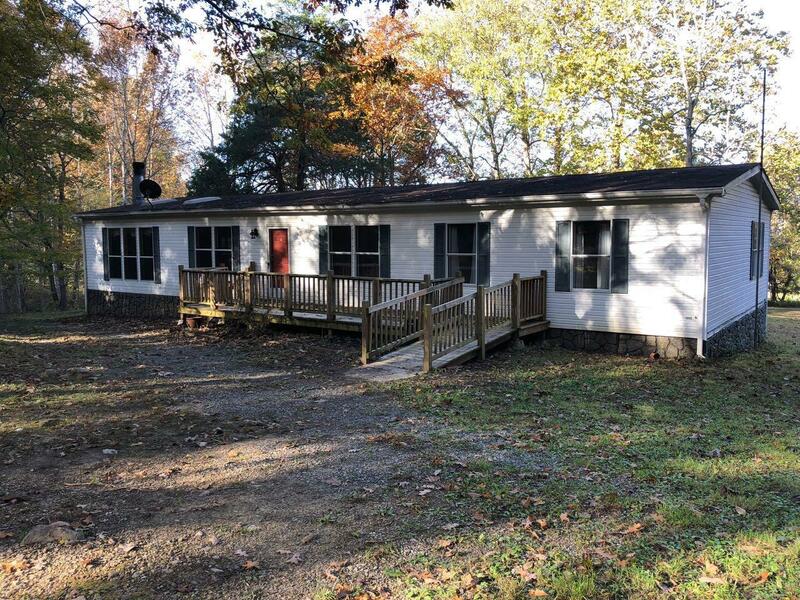 Over 7 Acres, a private paradise featuring a nice home, full length front porch, large back deck, detached garage/workshop, carport and outbuildings...perfect for hobbyist, hunter, hiker and/or homemaker! Charming touches inside, include tiled Kitchen counters, custom island, laundry/mud room with storage rm, master BR suite w/custom tiled shower. NEW carpet, flooring & bath fixtures, NEW HVAC/2011, NEW 200 amp electric/2017, Refrigerator/2010, Septic pumped/2014, Outdoor wood stove for supplemental heat option. Water sourced by gravity fed mountain spring. Home and all personal property on premises conveys, as-is.